God I love barbecue. 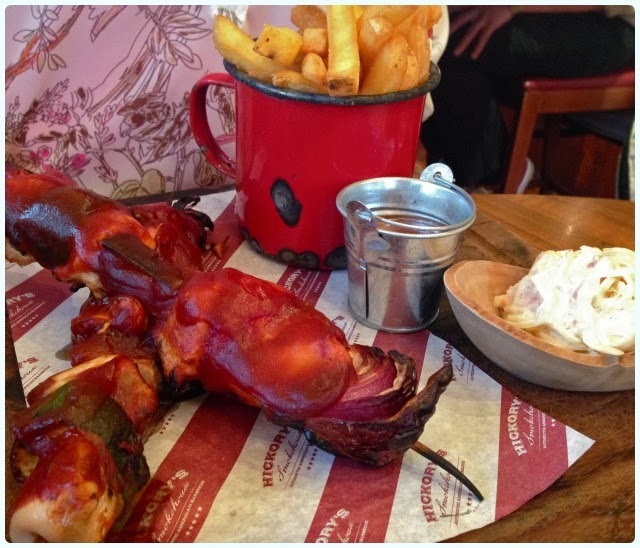 I have worshiped at the alters of Red's True Barbecue, made a pilgrimage to the Mighty Quinn's in New York, sat in the sun at Grillstock and surely sampled all the smoked meat Manchester has to offer. I cannot get enough of the stuff. He who shares my DNA has the same affliction - not surprising really, although oddly he hates Haribo? I cannot explain this molecular misdemeanour. He's been a bit crook recently, and not overly mobile since having an op on his foot, so when I suggested we have a trip to Chester with our mum, he jumped at the chance - not literally - that would be foolish in his condition. When I asked what sort of food he would like for lunch, I was given a one word brief - barbecue. 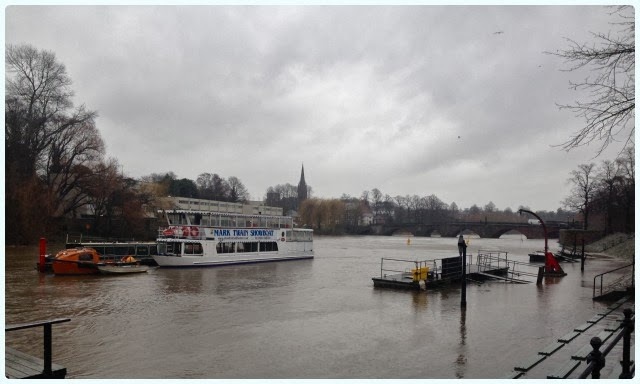 A quick Google search later and I landed on the banks of the River Dee. 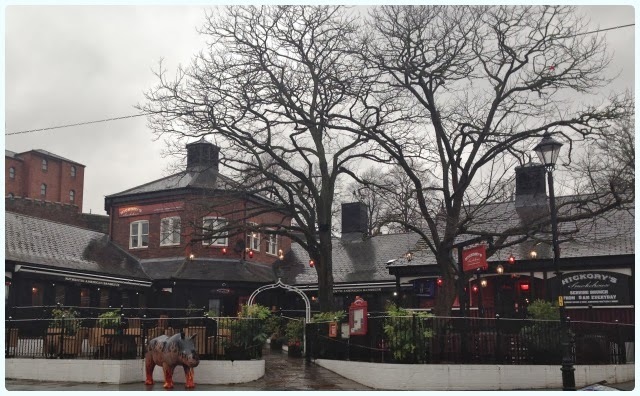 A five minute taxi ride from the station is Hickory's Smokehouse; an impressive building overlooking the river, with its very own flaming rhino protecting the gates. It was absolutely lashing it down. Even the ducks had buggered off! We quickly retreated inside as we already had a terrible case of damp denim, and we had only walked from the taxi to the door. We were immediately greeted by a friendly lady who showed us to a table with a brilliant view of the river. 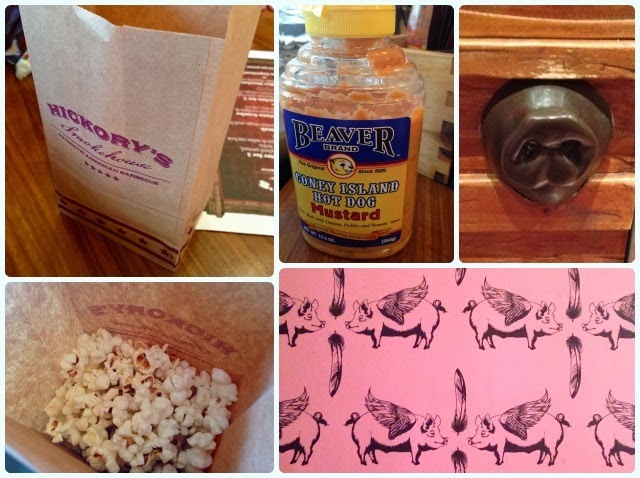 She brought over a bag of house popcorn, and left us to peruse the menus. The restaurant has a bit of an American sports bar feel, but with nice little touches like noses for doorhandles, and pink piggies in the ladies! The dining room is split into lots of smaller areas and private booths, as well as an open kitchen and bar area. I'm a total sucker for a decent milkshake, because they remind me of happy days in Vegas! 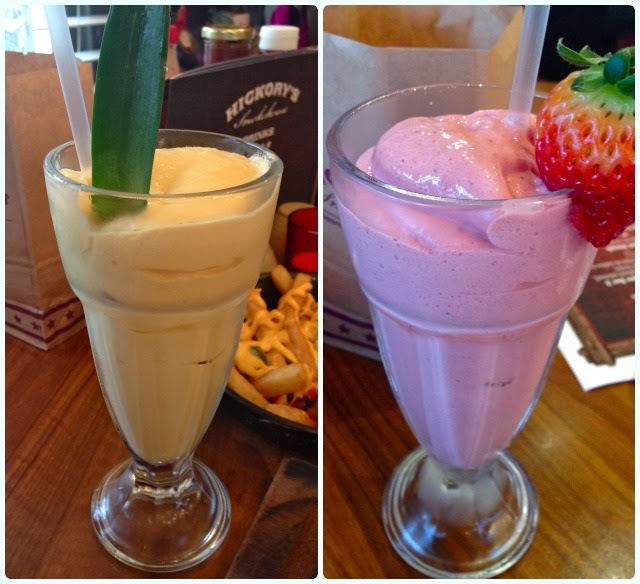 Whilst in Hickory's, I sampled the strawberry (always a good barometer) and the Solero shake. Both are packed with real fruit and thick ice cream. They also boast an impressive cocktails list, and a few decent American craft beers too - notably by Goose Island and Sierra Nevada. Burnt Ends - Tender chunks of smoked beef brisket coated in crispy Cajun rub: These are not like any other burnt ends that I have tried before. They had a coating on them which was similar to Southern fried chicken. Generous in size and very tasty, however I think I prefer the traditional type doused in barbecue sauce. Smokehouse Nachos with sour cream, guacamole, melted cheese served and BBQ pulled pork: These were heavenly. 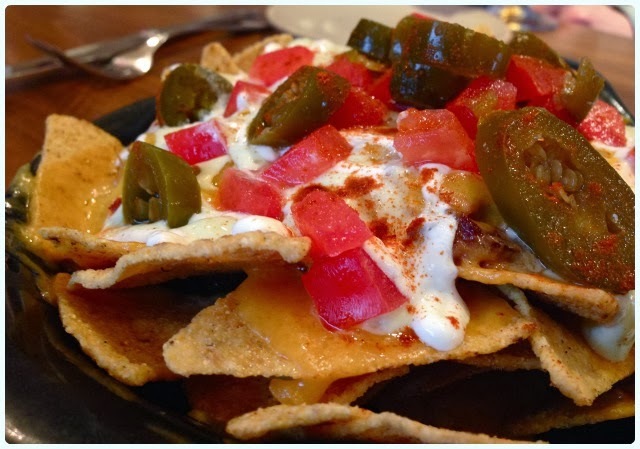 Enough cheese to make your doctor nervous and an ample amount of fiery jalapenos. 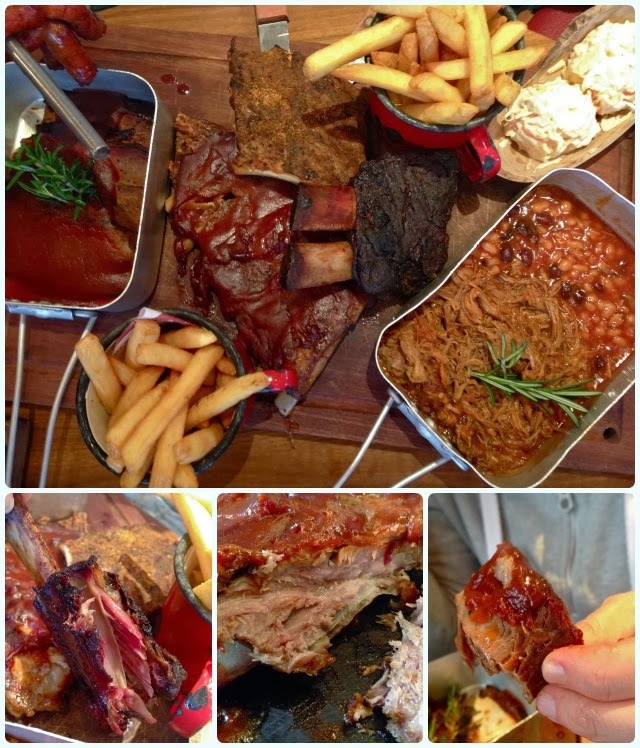 Smokehouse Platter Memphis style baby back ribs, hot links, low ‘n’ slow smoked beef ribs, Kansas style spare ribs, USDA beef brisket, BBQ pulled pork, fries & slaw: The reason this comes with two lots of fries, is because it's for two people. 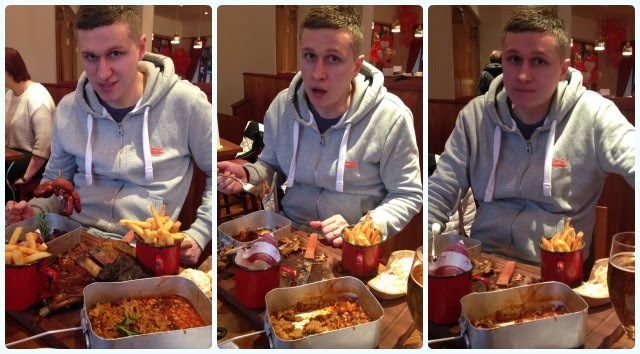 My brother ordered this and ate the lot, bar one portion of chips. Yes, he suffered. 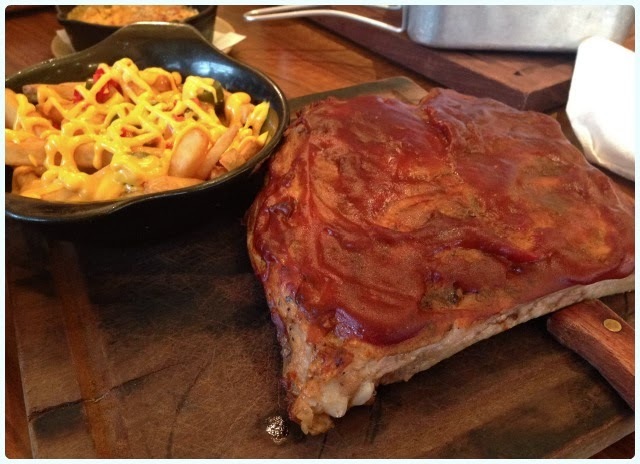 Highlights included the beautifully tender beef brisket and the charred beef ribs. for 6-8 hours and glazed in Hickory’s BBQ sauce: This is Hickory's best selling dish. It's not the prettiest rack I've ever seen (snigger) but it tasted amazing! Granted, they were not quite as good as those offered at Red's, but then again they are exceptional. Smokey BBQ Southwest Chicken Skewers - charred & sizzled, served with fries & slaw: My mum chose these as a bit of a lighter choice after troughing on the starters. This was still huge. Large chunks of chicken and vegetables slathered in BBQ sauce. Mac 'n' Cheese: A lovely crisp top with a thick cheese sauce. Cheesy Chilli Fries: House fries topped with jalapenos, red chilli and a ridiculous amount of cheese sauce - yes - like the one they have in Hooters! I was so I excited I nearly burst! Florida Key Lime Pie, chocolate ice cream & berry sauce: This little individual pie was more of a tart to be honest, as it has a pastry base. 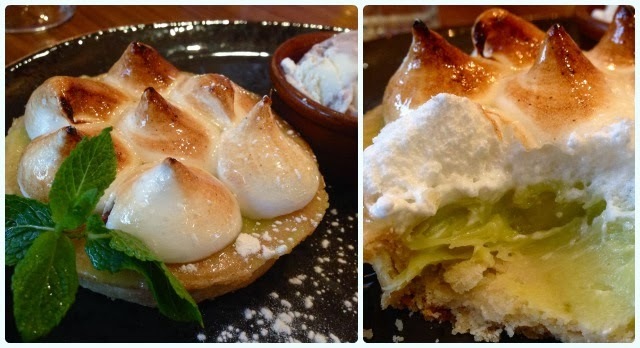 It was packed with a tangy green filling and topped with delicious torched meringue. We walked out of Hickory's like absolute creatures. It was still tipping it down, but the cold rain was strangely soothing after suffering with acute meat sweats for the last fifteen minutes of our visit. We ate an astonishing amount of food between us! 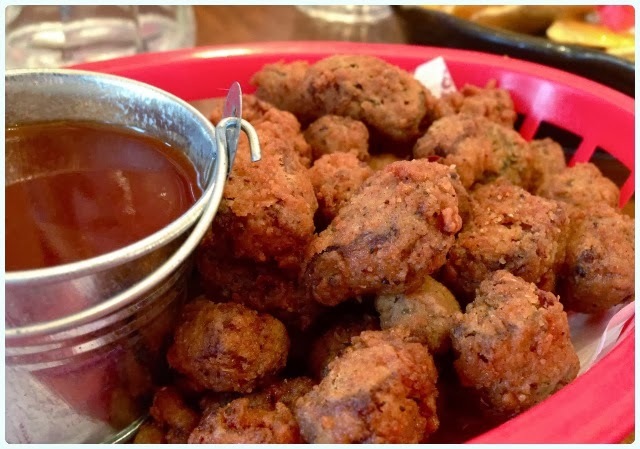 Hickory's has a really friendly atmosphere, and has maintained a cosy feel despite the size of the restaurant. I can imagine that it's even better in nice weather, as the location is surely one of the best in the city. 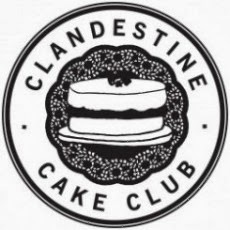 Yesterday Bolton Clandestine Cake Club turned two. 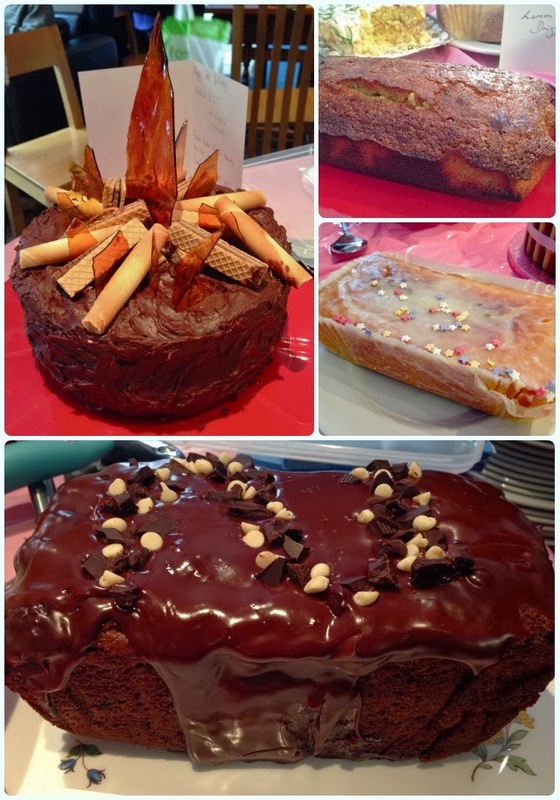 We've spent the past couple of years improving our skills, coming up with crazy cake ideas and making lots of new friends. I made my signature Matilda Bundt Cake for our first meeting, and have baked a bundt for every meeting since, except once when I made Almondbury Cake in homage to T & Cake. I wanted something a bit quirky, whilst still along the birthday party theme. 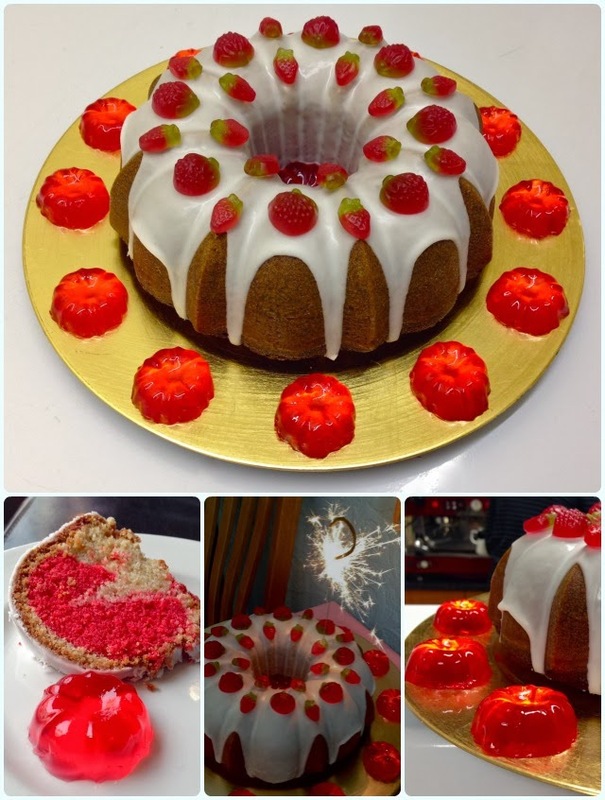 Last year I made a Cherryade Bundt Cake, but was totally stumped this time. Then my friend Lucie came up trumps with an ace idea. She suggested I pick two ingredients to match our age - it had to be jelly and ice cream! I hadn't had jelly in years! In my infinite wisdom I decided to make actual jelly to accompany the cake, which proved interesting as I had to transport them to cake club! Crisis averted, I was really pleased with how this one turned out. I made it earlier in the week using just jam as a flavouring, however I found that it tasted too much like real fruit. I wanted an almost synthetic strawberry taste, just like jelly. Mission accomplished. The 'ice cream' layer is made using vanilla paste, and the strawberry layer using jam and strawberry cupcake flavouring. 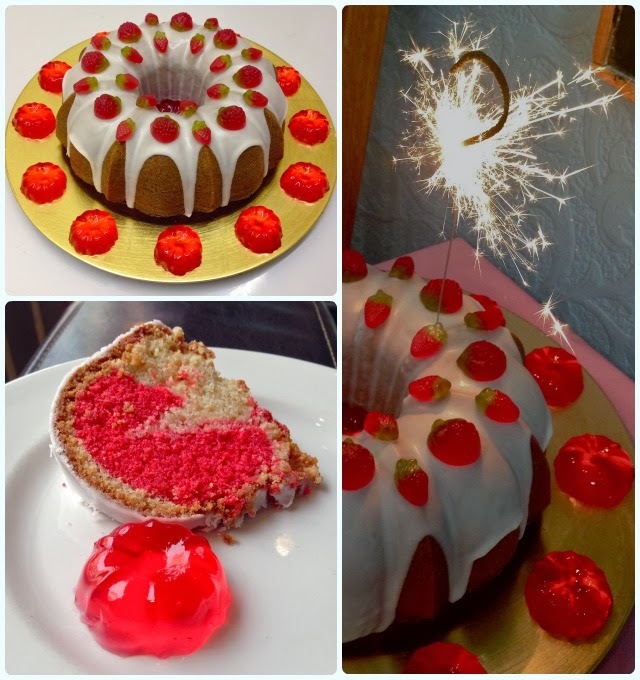 Topping it with strawberry jelly sweets was literally the icing on the cake. Split the mix into two bowls. To the first bowl add the vanilla paste. To the second bowl, add the red food colouring, strawberry flavouring, 3 tbsp strawberry jam and the extra spoonful of flour to tighten it back up. Pour the vanilla half the mix into the prepared tin. Dollop the remaining jam on top and smooth over. Cover with your red strawberry layer. Note - something weird happens now. The red and vanilla layers will switch round, with vanilla encasing the whole thing. This gives the pretty marbled effect. Run with it. 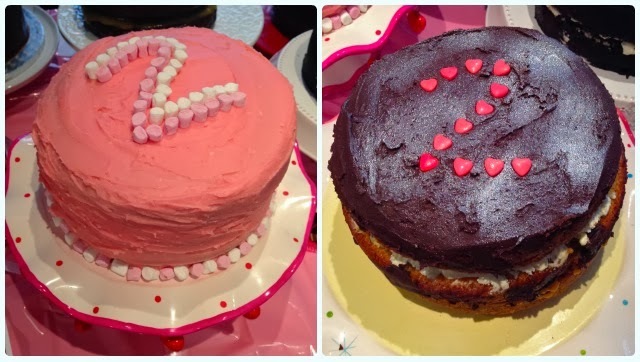 When the cake is fully cooled, mix the icing sugar with 1 tsp of strawberry flavouring and enough water to make a pouring consistency - tip it over the cake! Don't worry about making it look pretty, the tin shape does all the work for you. Top with enough sweets to make you happy. 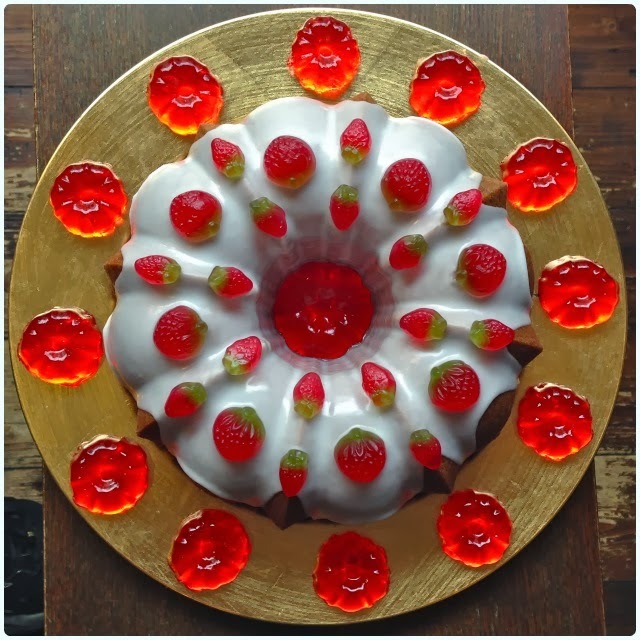 Jelly - I made these cute jelly shapes with ordinary strawberry jelly in some bundtlette tins. I had two different sizes which were the same shape as my Anniversary tin, so thought they would compliment nicely. 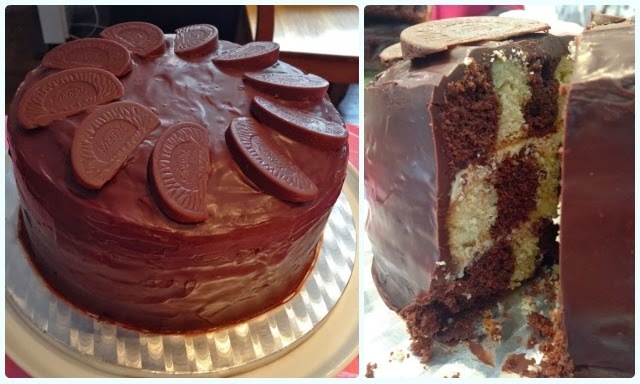 I even managed to fit one in the centre of the cake! What an emotional day! 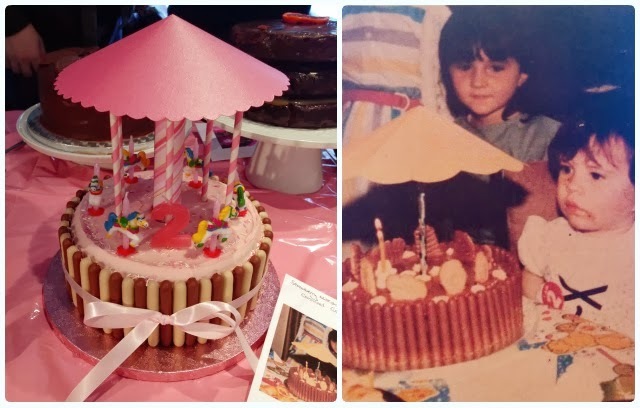 This time two years ago I was cacking myself at the prospect of my cake club just being Amanda and I. 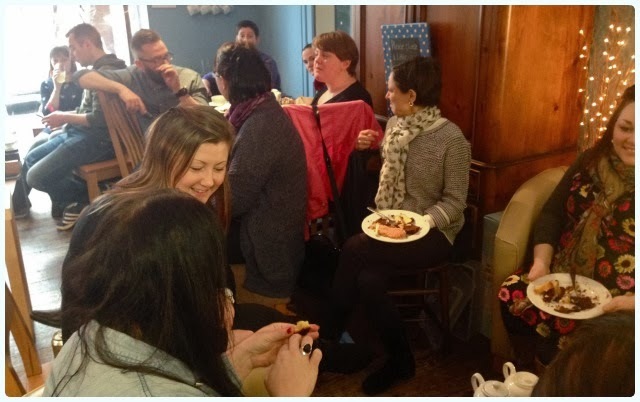 Today she hosted our second birthday meet up, and welcomed back the friends we've made along the way. Amanda owns Thyme Deli in Horwich. It's where our journey began, and every year we will go back for our birthday bash. She's supported us from day one. 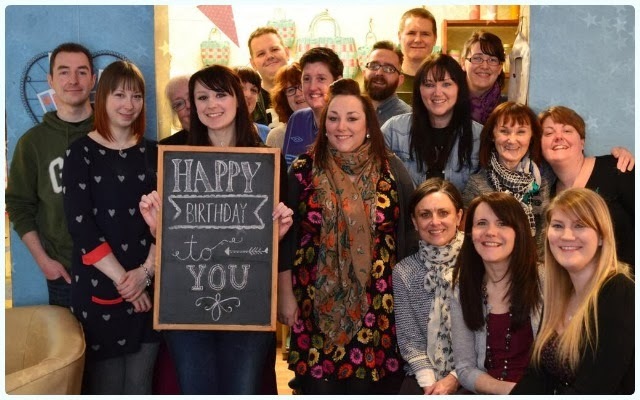 We've taken over half of her shop on several occasions, and her team deal with our every need. 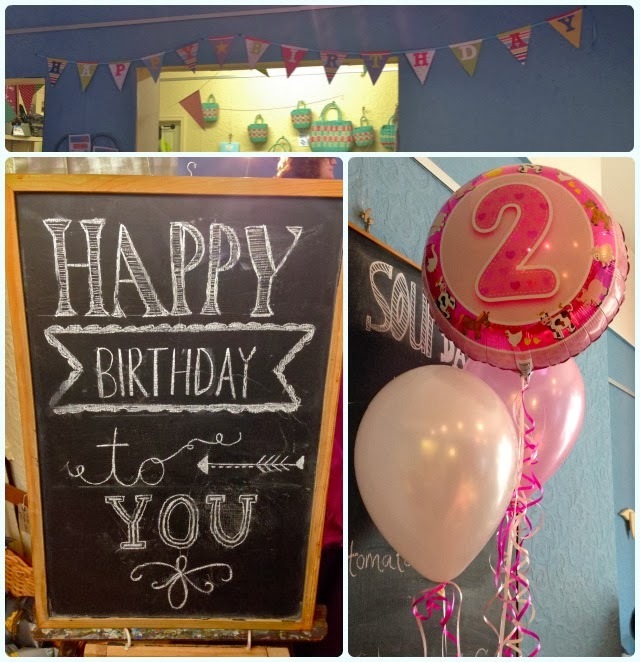 Today she had even put up some birthday bunting, and drawn us a lovely picture on the chalkboard. I love our little club. I love the enthusiasm of our members and their willingness to try something new despite the crazy themes I set them! I love our venue owners who have also become good friends over the last two years, who consistently bend over backwards to accommodate us. More more importantly I love the friendships I have gained from doing this; people I would never have met any other way. It's bloody hard work, but so worth it. 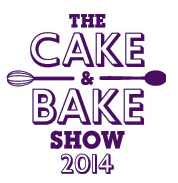 The Cake and Bake Show is back in Manchester! This year's show will run from Friday 4th to Sunday 6th April at Manchester Central, and promises to be even bigger than last year's extravaganza. 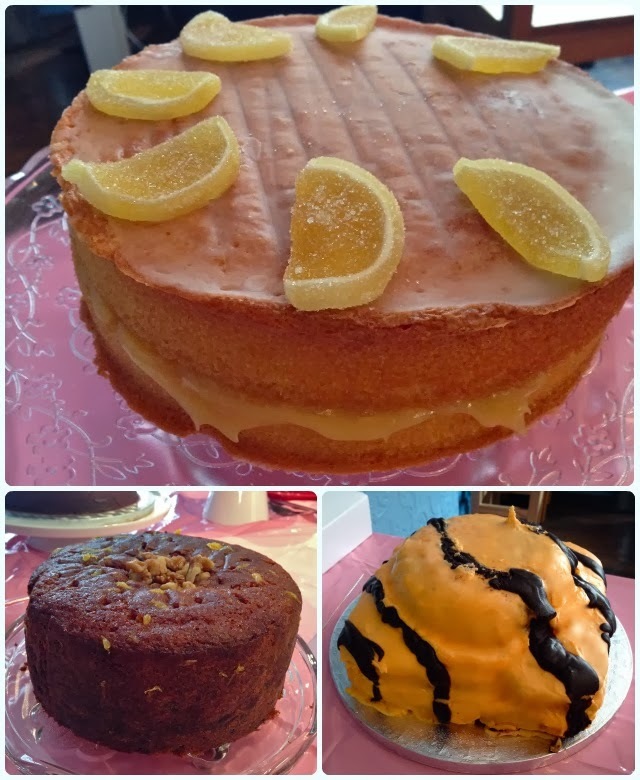 Whether you're into cake decorating, need some inspiration, fancy a spot of retail therapy or want to improve your skills - there's something for every baker from novice to expert. So want to win some tickets?! I have five pairs to giveaway. Each winner will win one pair for a specified day. This is a simple classic. Something I have in my arsenal for occasions such as birthdays and whatnot. 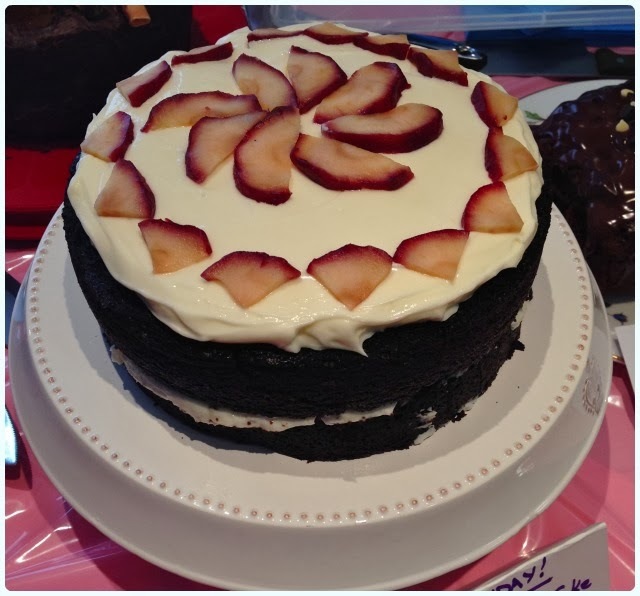 A few weeks ago our Chief Executive (a keen Tweeter) saw pictures of my bundt cakes, and asked if I would make a cake for our Director Steve. He's a real lover of cake, so when his PA Rosemary told me that he loves a vanilla sponge, I set about my Victoria Sponge Bundt Cake, with a sparkly twist. 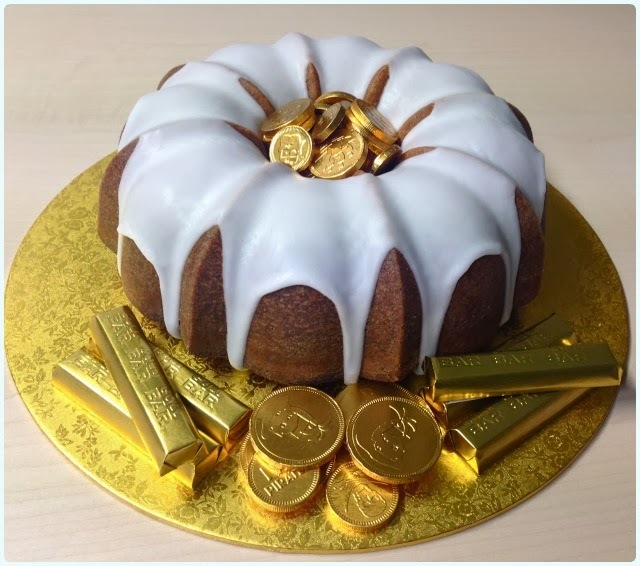 Steve is over the finance department, so a money themed cake was in order. Pour half the mix into the prepared tin. Spoon on the jam then spread evenly across the layer of batter. Pour the other half of the mix on top and smooth out. And hey presto! A very simple cake for any occasion. 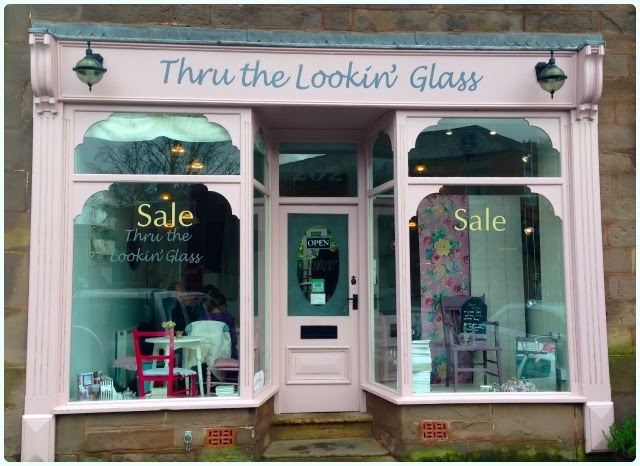 A few months ago, my friend Lucie went to a little place called Thru the Lookin' Glass in nearby Wheelton. She came back with tales of a pretty pink shop with delicious cakes, and was convinced that I would love it. 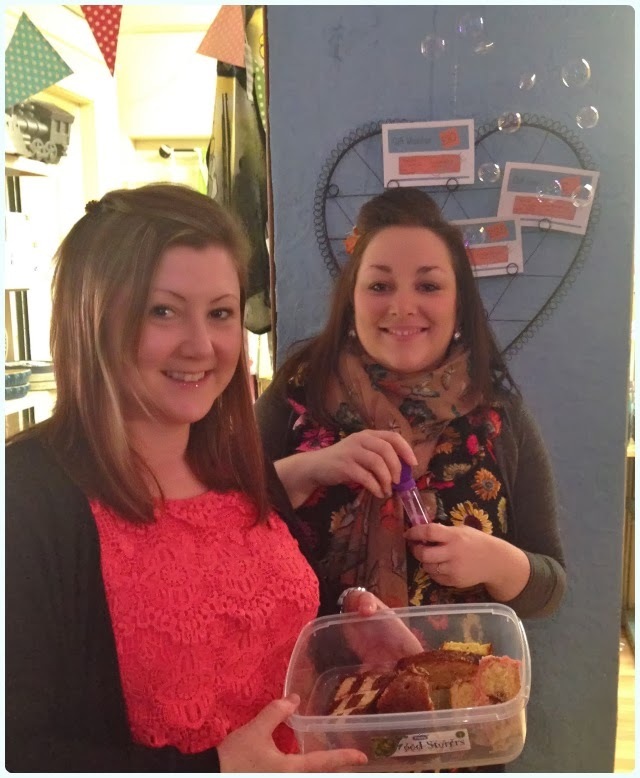 Last weekend we took a trip with our friend Jenny and mini cake maker, April. 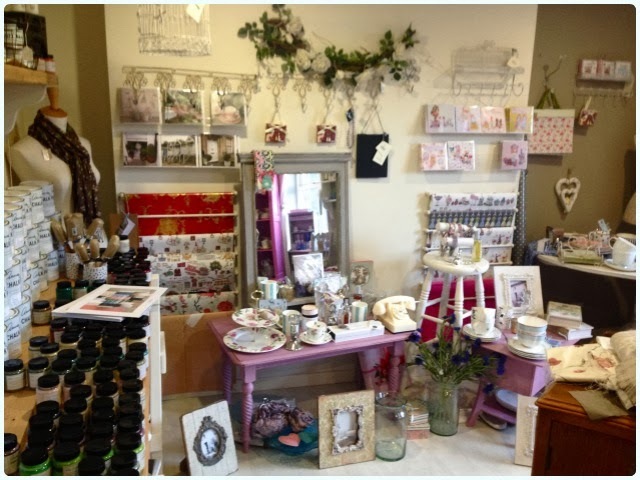 The pastel frontage allows you to see into the tea room on one side, whilst paying homage to its previous guise as The Soft Furnisher on the other - a cutesy home furnishing business which is still operated by the owner on the floors above. You can tell this lady has style! Although the dining room has a vintage chic feel to it, nothing is untidy and all the beautiful crockery is fully intact. On the right hand side of the room is a shabby chic dresser topped with spectacular cakes in a magnificent collection of cloched cake stands. The little chalkboard which hangs above lists the day's cakes, and a small teapot on the other side houses the tea of the day, alongside little sample pots so you can try the favoured brew. When we arrived, a pleasant lady brought over a small tray filled with tea cups, a milk jug and a cake - 'here we go sweetheart'. 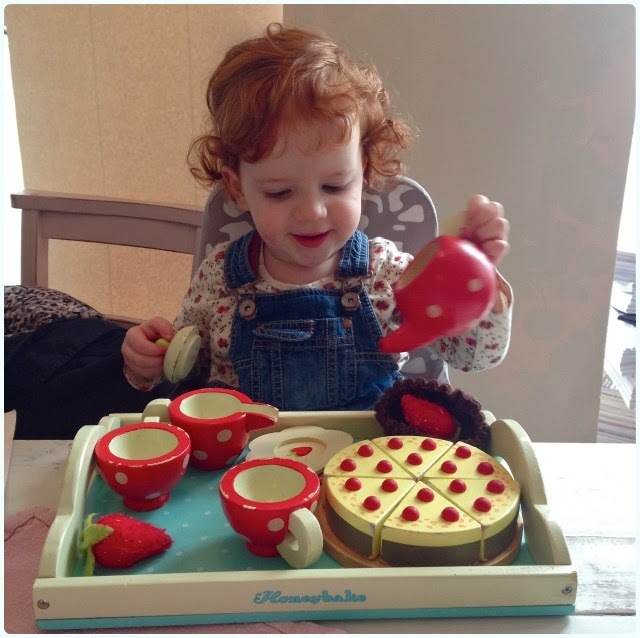 Granted, it was wooden, but April was happy as Larry as she 'made tea' for Lucie, Jenny and I. Nice touch ladies. 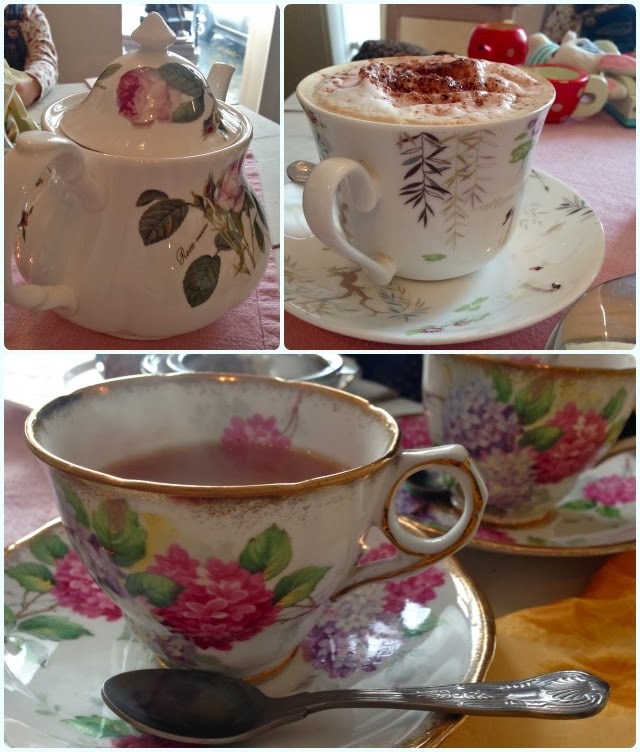 Jenny and I shared a large pot of Palace Breakfast tea (an energising, full-bodied blend of Assam and Ceylon black teas) whilst Lucie tackled the largest cappuccino I have seen in some time. 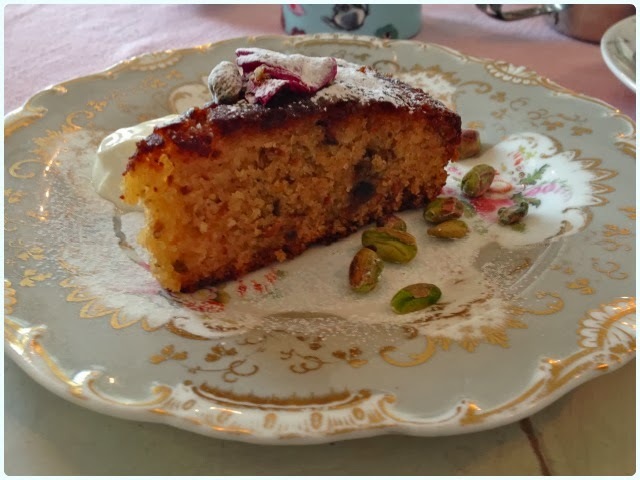 Lime and pistachio cake with orange blossom, served with greek yogurt and pistachios: This was Lucie's choice. She reported a very moist cake with subtle hints of orange coming through. 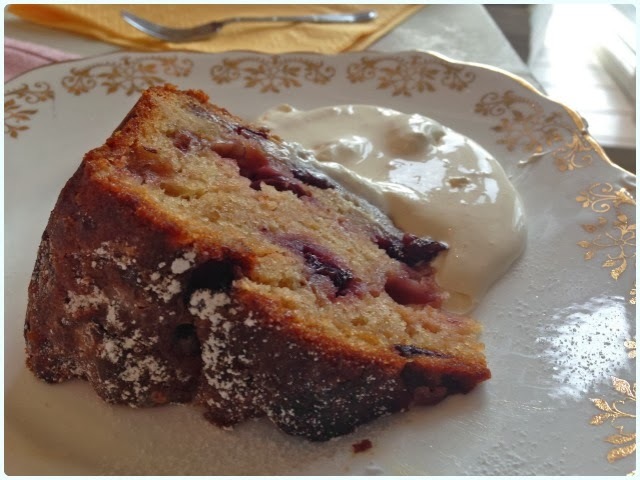 Apple and blueberry cake with double whipped cream: Jenny was very pleased with her choice; again an ultra moist cake with a slight tang from the fruit. 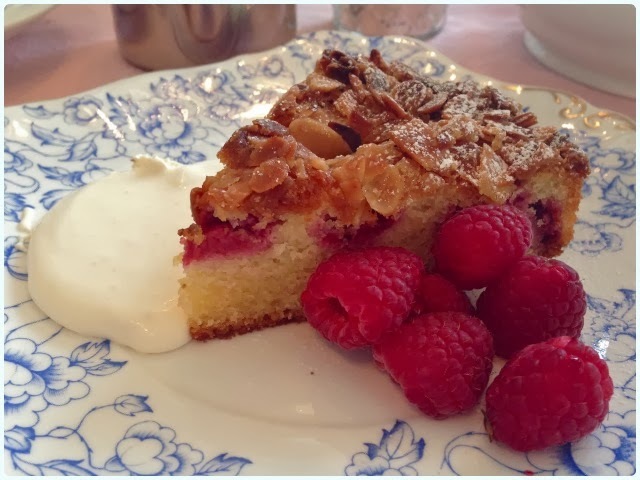 Raspberry and almond cake with raspberries and cream: Bakewell fiend strikes again - I cannot resist this combo. 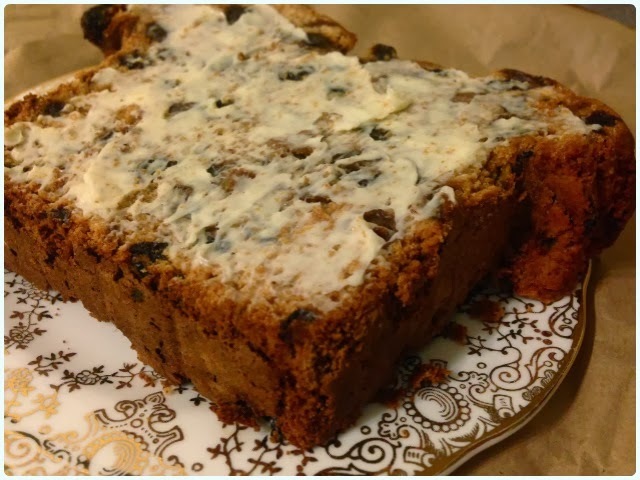 A nice crunch to the surface, soft cake and lovely pockets of fruit. 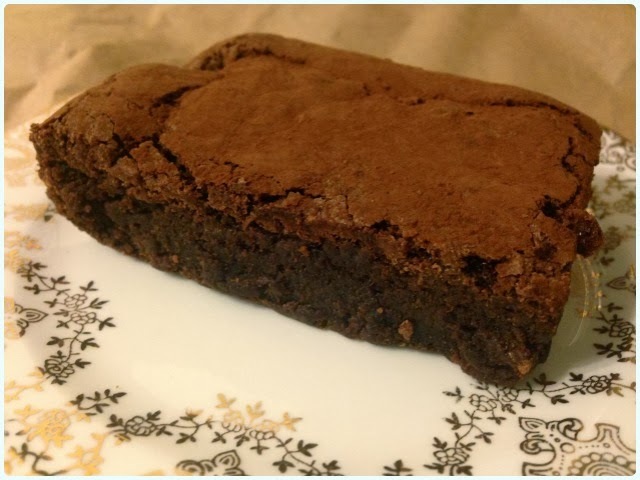 Chocolate brownie: We all took one of these home for our significant others, although I did steal a bite - purely for research purposes... I expected this to be quite stodgy, however I was surprised to find it was actually rather light with a gooey centre. After our tea and cake we ventured upstairs to the home furnishing side of the business. Our friend Michelle would absolutely adore this place. 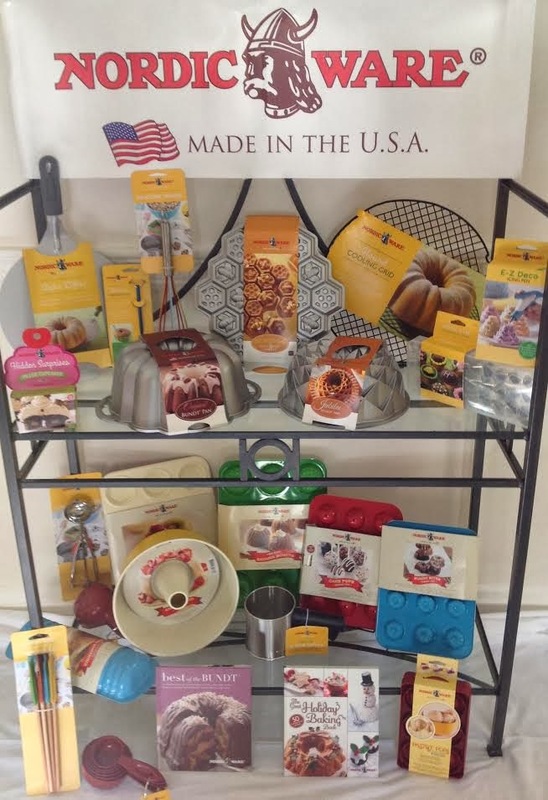 It is jam packed with beautiful trinkets and home adornments. They even run interior design themed courses, such as chalk painting. We could have quite happily spent all afternoon at Thru the Lookin' Glass. 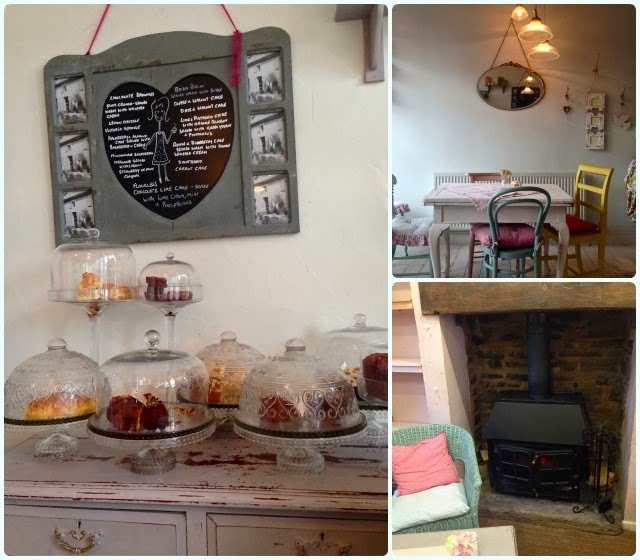 It's as pretty as a picture, but also serves some perfectly executed cakes with a large range of speciality teas and coffees. It also helps that the ladies who run it are utterly delightful. We'll be back here one day, callooh callay!